Ever had a great idea for a picture book—one you’re really excited about—only to discover your idea has already been fleshed out, written, illustrated and published so well there’s no point in pursuing the project? Ever discovered the existence of this book only after you’ve invested several months (or longer) researching, writing and thinking about this idea? Normally I avoid the second scenario by searching Amazon for similar titles and subjects early in the writing process. But last year I pulled out a project I’d put aside for a while—a rhyming text about various types of birds’ nests (young non-fiction in the vein of Castles, Caves & Honeycombs, my book about animal homes)—and didn’t bother checking Amazon again. Dumb mistake. Months of work later, I discovered a brand new rhyming picture book about—you guessed it—various types of birds’ nests. And illustrated by a Caldecott Honor winner to boot. I felt ill—mad at myself for not checking Amazon sooner, and bummed that I had to scrap this project and start all over again on something new. To me, starting over is the scariest part of the writing process. I’m always fairly certain that I’ve run out of ideas, have nothing new to say, that I’ll never sell another manuscript again. Then, somehow, an idea turns into a few sketchy lines. If I’m lucky, those lines turn into the flimsy skeleton of a story. And then the fun begins. But here’s the thing: we’re always starting over. We finish a story, we start over. We hit a dead end, we start over. We get multiple rejections on a project we were sure we’d sell, we start over. And despite those nagging voices that tell us otherwise, there’s no finite pot of good ideas, no dwindling reservoir of creativity we’re in danger of draining dry (although the reservoir might need some replenishing, especially after a long, overly-stimulating holiday). 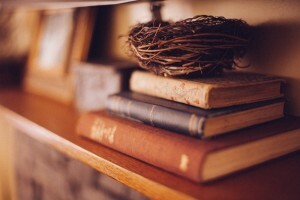 But back to that nest book . . .
See why I abandoned my bird’s nest project? Even so, I still have hopes that my avian research will one day pay off. As it happens, several of my books—Babies on the Go, Maxwell’s Magic Mix-up, Rub-a-Dub Sub, and The Essential Worldwide Monster Guide—evolved from ill-fated manuscripts that I never finished or couldn’t sell. So don’t throw anything away! How do you feel about starting over? And what do you do to replenish your reservoir of creativity (post-holiday or otherwise)? Leave me a note. And here’s to a happy and creative 2015! 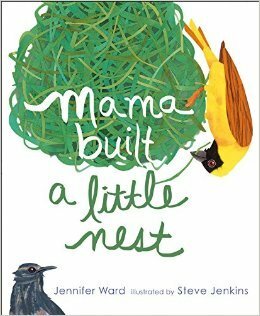 Jennifer Ward, Linda Ashman, Mama Built a Little Nest, non-fiction, rhyme, songs, Steve Jenkins. Bookmark. I admire your attitude, even in the face of great disappointment. Don’t be too hard on yourself. If you had Googled earlier, this title might not have been listed. It could have been a work-in-progress and have beat your book deal by just a day or so. There’s no way of knowing for sure. Still, it is a good idea to check before starting. You have helped me to realize that it’s also a good idea to check throughout the writing process. Oh my! Thanks, Linda! And you’re right, you can never know for sure what’s going to be published (but it’s still a good idea to keep checking!). Linda, thanks for a great post! Oh, how we’ve all been there. After a proper sulk and some dark chocolate, I try to look for a seed of another idea in something that didn’t fly (pardon the pun.) 😉 I agree, don’t throw anything away, you never know what new stories might germinate from the ones you’ve had to put aside. Something that doesn’t fly — ha! And, yes, a day or two of moping and some chocolate do seem to help. Thanks, Anika! I am WAY too early in the learning process of writing to make sure a book is not already out there – maybe LOL. But I have had the exact same experience with a novel I was working on was back when. Got me TOTALLY grumpy, but I got over it. Great post – thanks, Linda! Oh, it’s got to be so much harder with a novel — that could be years invested rather than a few months . . .
I’ve learned my lesson to research my ideas first! Thanks for sharing this beautiful book,even though it was YOUR idea. (wink, wink) I’ll have to remember to try familiar songs for texts. Thanks, Linda! Ha! Yes, it’s a bummer when someone else comes up with our ideas before we do, isn’t it? Thanks, Tina! Thanks for the great post. I love the idea of writing with familiar songs and I’ve felt the pain of losing a story because someone else beat me to it! Awful! I really enjoyed your NUTS AND BOLTS book. Thanks so much, Kirsti! The song exercise is really fun (and sometimes even leads to a sale–see Tammi’s note below . . .). What have I been researching for months? Birds for a poetry picture book! Well, as long as it’s not about birds’ nests, you may be just fine (but keep checking . . . ). Thanks, Caroline, and good luck with it! Linda, Great post. I know I’ve learned the hard way to research my ideas AND titles. I like using familiar songs too. 🙂 Happy Writing! Thanks, Tracey — yes, I think we’ve all been there at one point or another (probably more than once). Happy writing to you too! One thing I do at a time like this is revisit the excercises you have listed in NUTS & BOLTS. Every once in a while, if I am very lucky, one of them grabs hold and says, DO THIS!!!! Also, and I’m not sure if I read this in NUTS & BOLTS or if I read it in an interview, you urged writers to embrace the chaos. While I was working on a manuscript last month, I kept that thought in mind. Annnnd…this manuscript has less than 30 words so I referred to your web site for advice on how to draft a nearly wordless book. Sooo…thanks for all you do. I feel like your book, interviews, and web site are a vault of inspiration. Thank you, Tammi! What a nice thing to say. I’d give you a hug if you weren’t all the way over in OK. And, as a fan of your clever books and your wonderful language and humor, I am very confident that your creativity reservoir runs deep — and that the books will just keep a-coming. Can’t wait for MARY (and more)! Thanks Linda! I tend to flesh out an idea first and then look for other titles. Otherwise, I just can’t get my idea out. Great post. I’m starting on a new story this week, but first I have three items on my to do list… Starting over is my treat. Hi, Stacy! I hope you cross those three items off your list quickly so you can get to your writing. Good luck with it! Linda–Thanks so much! Every point you made rang a bell, struck a chord, hit home. Heavy sigh. But, yes, I am inspired & encouraged by this lovely entry of yours. And the replies. This was such a great post, Linda — very spot on and one we can all relate to! 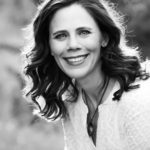 At the last SCBWI Summer Conference, I went to a workshop where agent Erin Murphy discussed picture-book voice, and she used examples of books that have the same story, with different treatments (in both the writing and visual approach). It gave me hope that those “redundant” ideas may find its own unique place after all. I’m confident that your bird research for this book will too! Thanks, Eliza. It’s so true that different approaches to the same topic can make all the difference. After all, there’s nothing new under the sun, right? But in this case, the concept was SO similar that I couldn’t get around it. But, yes, all that bird research will come in handy some day, I know it! By the way, I just picked up THE GRUDGE KEEPER at the library–it’s gorgeous!! I love the language too. Thanks for your post, Linda. I have experienced what you described too. My manuscript had been accepted by a publisher when they discovered a very new release that was too similar – in topic and treatment (verse). Aaargh! What did I do? Sniff a bit, then move on to my other works in progress. Yes, maybe the research will come in handy some day, or I can change the concept when my heart recovers. Oh, no! That’s even more painful. Some day, in some way or another, we’ll be able to use what we’ve learned–it just may take a while. Terrific post. This is something an awful lot of writers face. That said, perhaps if you put that manuscript in the drawer for three or four years, there will be room for a new bird’s nest book in the market. You’re so right, Rosi. Something that doesn’t sell now may find an audience down the road. Timing is everything in this business (and so is patience!). I have been there multiple times, Linda. Like Jill, I feel there is a stream of ideas floating around, fed by current events and media, that writers tap into. The biggest disappointment for me is when I’ve researched the market and THINK I have a new idea, but discover that someone tapped into the stream just a bit sooner than I did and their book is announced just as I’m getting ready to submit… But my word(s) for this year is “keep going” and so I shall! Yes, just keep going. That’s a good mantra. Thanks, Patricia! Hello, Jen! What a treat to hear from you. I loved reading a little about NEST’s journey to publication — so many changes along the way. So glad it finally worked out (even if it means mine didn’t, at least not in its current form!). I knew the second I saw “Beach Lane Books” that it was over for my project — I’ve worked with Allyn in the past, and I know she creates beautiful books. In any event, I learned a lot doing the research, so I’m glad I did it — book or not. So good to meet you, Jen — congratulations! I’m new to the writing process, but I did search before I starting writing my story. Looks like I will continue to check in with the searches as my story develops. Recently, I starting enjoying revisions and through that process I found little nuggets that could jump start another story. Thanks for sharing! Oh, and a good piece of chocolate makes everything better! Thanks, Andie. It’s always a good sign when you’re enjoying the process. Good luck! This happened to me, this year, with a title that just came out. So much research and time, but not entirely wasted because working on this project helped me understand and learn a part of history that is very relevant to our family. Thank you for posting this! Hi, Miranda. Sounds like you learned some valuable things from your research. If we’re learning, it can’t be a waste of time, right? I recently came up with a title that I was sure was original and combined two ideas that I had, googled the title and what do you know? it was published about 8 years ago and is now a successful children’s play in West End London! Hi, Kaye! Titles are tricky — they’re not subject to copyright, but you don’t want to sound too much like a book that’s already been published. You might be okay though in this case since it’s not all that recent (unless it was the title of a bestselling book before it became a play). At least the book that came out first is a wonderful book! I think it would be even more frustrating to have a similar book that you didn’t think was good. Thanks for sharing an adventure that could happen to any of us! When to consult Amazon is always a toss up for me. On the one hand, I don’t want to check for similar titles too early because that can sometimes knock the energy right out of me for writing the initial drafts of my idea. On the other hand, checking too late can lead to a lot of heartache! Though it seems to me that being a writer in this industry will lead to some heartache no matter what you do. Good point, Carrie. I don’t check Amazon until I have a pretty good sense of what the story’s about. Otherwise it can definitely interfere with the creative process. And, yes, heartache IS part of the business at times, unfortunately! Linda, your post is a great caution for me, a new writer. During PiBoIdMo I had ideas that I’m sure are already full fledged PB’s, but as you and others have said, there’s always a possible alternate approach, a different and better season, or a brand new strand of an idea hidden somewhere in that weave. Thanks for the encouragement. Yes, your voice and/or your particular approach to an idea can make all the difference. Thanks, Damon, and good luck! 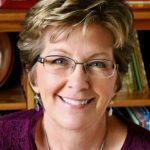 Great post, Linda – same has happened to me. Even with articles. My lesson learned: great ideas are out there and many people share same ideas. It’s how we present the ideas and the timing. Sometimes a book idea turns into fodder for an article… or sits in the drawer for a couple years until it undergoes metamorphosis and emerges as something a bit different. But it’s part of the process. So true, Sue–well said. Thank you! Linda, It is good to know there will be a lot of steps backward in the forward momentum so we don’t lose focus on the long term goals. Thank you for sharing your experience and hopefully your avian research will pay off. Thanks, Cecilia. And, yes–LOTS of steps backward! So glad to learn about this site. Thank you to Miranda Paul for sending me a notice about it. I’m learning by the posts, as I read these comments. Keep all that research ‘tucked’ for the time. Something will emerge for you later, it’s just needing to ‘simmer’ right now. Thanks again for sharing here. Thanks, Virginia. So glad you found your way here! I, too, normally check Amazon, but sometimes it slips past me until I’m vested in the project. In fact, early last year a wrote a different kind of MS about an unusual imaginary friend, before checking Amazon. Mistake. Beekle was about to be released by the amazing Dan Santat and I knew there was absolutely no way I could continue. Although our stories are still different, I knew that mine paled in comparison. Maybe someday the idea will combine with another and become something completely different. Thank you for this helpful post, and also for NUTS AND BOLTS. It is one of my favorite resource books on the craft of writing picture books. Thanks so much, Carrie–so glad you’ve found Nuts & Bolts helpful. And I hope the work you’ve invested in your story leads you somewhere else–good luck with it! I’m a Nuts & Bolts fan, too, Linda. Hey, Penny! So sorry about the Christmas story, but I bet you CAN give it a new twist somehow . . . maybe you just need a little distance. And, yes, it’s always good practice, even when they don’t work out. So glad you like Nuts & Bolts–thanks for that! I saw F&Gs of “my” story at a conference. “My” books come out as I’m writing them. Working on a PB bio right now and completely paranoid… No cure but to keep going. Truly, it does help to hear that others have had similar experiences. This happened to me this month. Fortunately, I had not spent months on the PB manuscript, but I was shocked to see how similar mine was to one that had been published. Although I hadn’t read the other, some of my lines were almost direct quotes! Strange that it was so similar, isn’t it? Good thing you discovered it early in the process! What a great post, Linda! I find it a little comforting (sorry!) that someone as accomplished as you has doubts too! A long time ago, I wrote a PB called Chrysanthemum – right down to the title! – about a girl who didn’t like her name… and only discovered afterwards that Kevin Henkes had already done it! Oh, wow–hard to disguise THAT similarity! Well, as they say, great minds think alike!